This event is outdated or no longer exists. Please visit the Salsa Calendar for current salsa events. Los Boleros playing live at Rhythmix Cultural Works in Alameda. Dance the night away to traditional salsa, cumbia, cha cha, merengue, danzon, son cubano, and bolero. Los Boleros invoke a cross between the spirit of Ricky Ricardo’s Tropicana Havana and the Buena Vista Social Club. Los Boleros has played at festivals and events all over the Bay Area. The band’s lead vocalist, Felix Samuel, is a Cuban super-star from Havana who is also a featured artist in the new HBO movie “Hemmingway and Gelhorn.” Come experience a world class Cuban band and let the passion guide you. Did we get anything wrong? Let us know about it! Important: Event times are subject to change. Always double check with the event organizer before making plans. 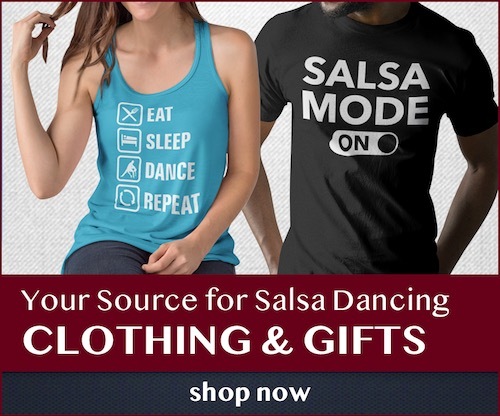 Review Policy: Please share your review of this salsa event and let others know what your think! Be as descriptive as possible in your review. Simple reviews ("This place is great!") will be deleted. If this is your first time leaving a review, your review will be held in moderation until it is approved. No reviews by event organizers or event promoters please. No personal attacks. Salsa Vida SF reserves the right to delete any reviews that are in violation of this policy. Copyright © 2011-2019 Salsa Vida. All Rights Reserved. Salsa Vida SF is your guide to salsa dancing in the San Francisco Bay Area. We have everything you need to know about salsa clubs, salsa lessons, and salsa events in the SF Bay Area.